The groms amuse themselves between sessions. 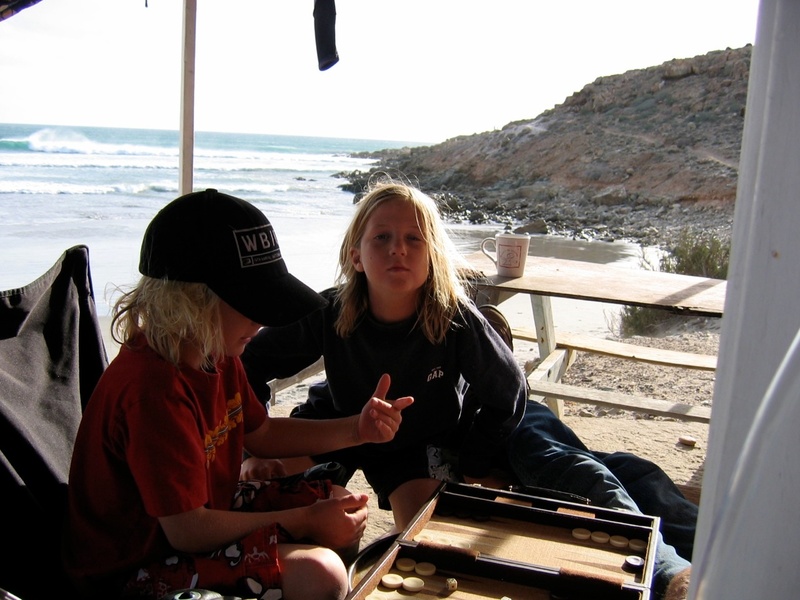 The funnest times I’ve had as a surfer and a father have involved taking my sons on surf trips to Baja. Generally the waves are great for kids. Everything is an adventure and we have the best time possible. 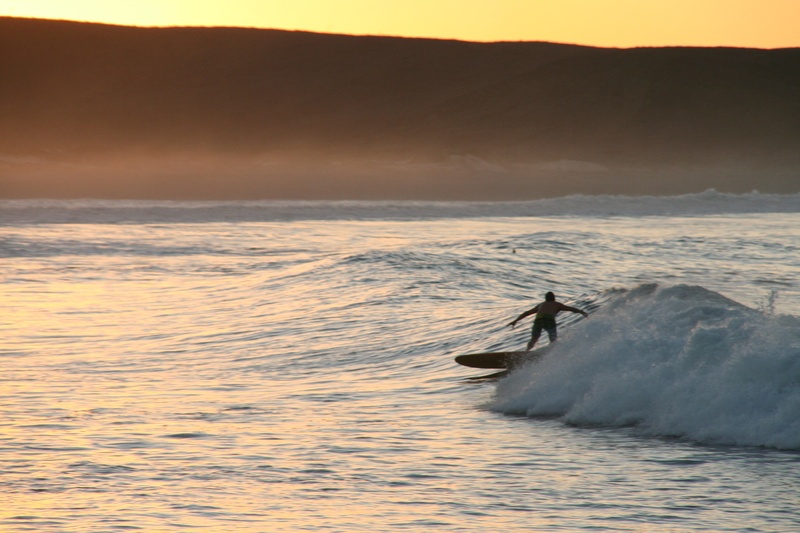 This is one of the first surf trips we did at an easy spot (the boys had both lived and traveled in Baja since they were babies). The boys were just learning how to ride waves. In fact Daniel, my youngest, literally learned how to ride whitewater and catch waves here. The following year, Daniel had improved a bit and Israel my oldest was able to paddle out to the point and catch some set waves. He also learned the limits of how many fish tacos he could eat. After greedily inhaling nine, he woke me up in the middle of the night and proceeded to vomit all over the Suburban we slept in. 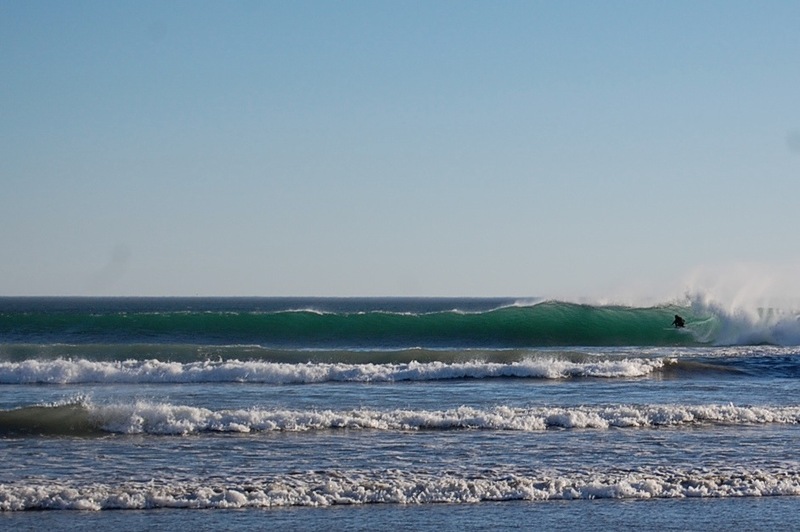 The shame about the drug-realted violence and crime wave that has hit Mexico (that is very real and should not be dismissed as “media-hype”) is that it turned many surfing families away from trips to Baja. 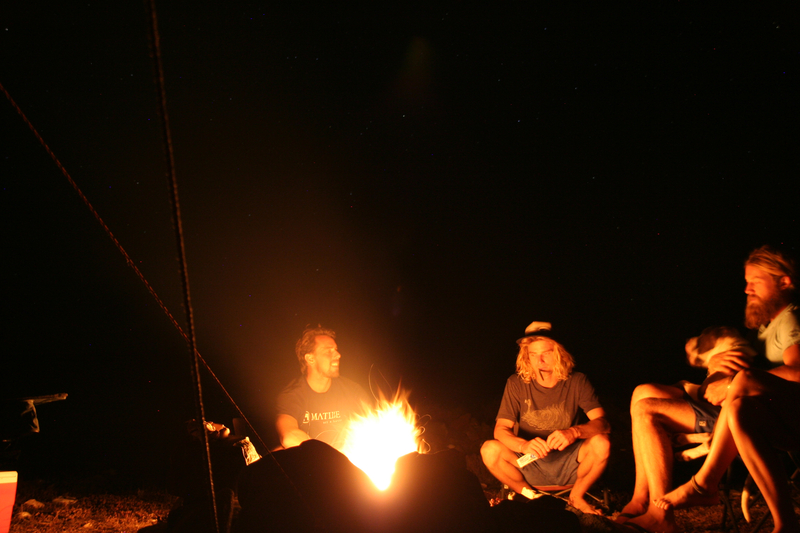 I think things in Baja have calmed down, but it will never be the safe haven without a worry that it once was. But you should take your kids south of the border and have them experience the wonders of a remote and beautiful place. I still take the boys down there, but I am a lot more careful than I used to be. There is something about the remote parts of the Baja California peninsula that remind us of what a wild coast is supposed to be. 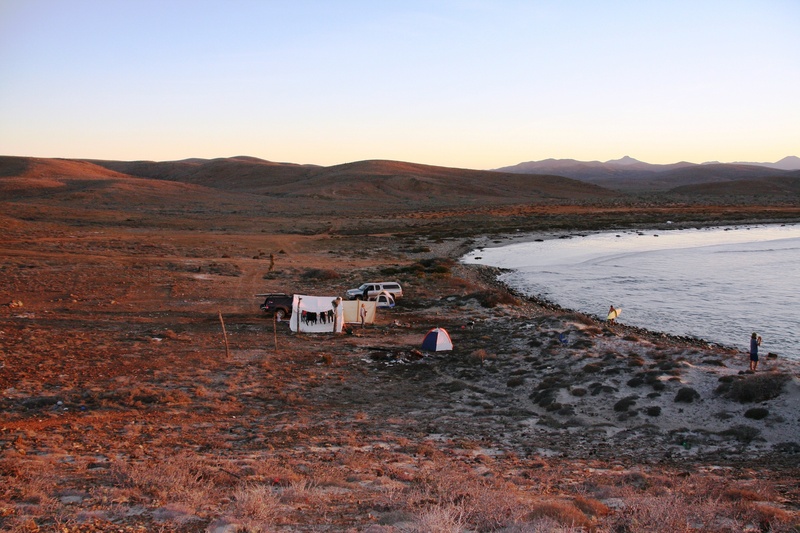 These images are by Zach Plopper from a recent trip we did to survey a national park in Baja California. Luckily we had a good tent to survive the harsh Santa Ana winds that hit. 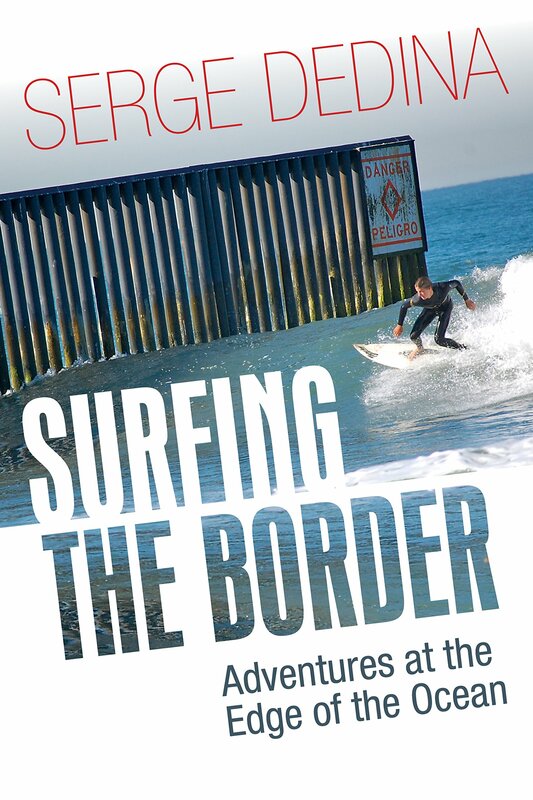 We are on the road in Baja with Chris del Moro of Surfers for Cetaceans. And shocked to hear the news about the death of Andy Irons. Baja is as always a welcome respite from civilization.